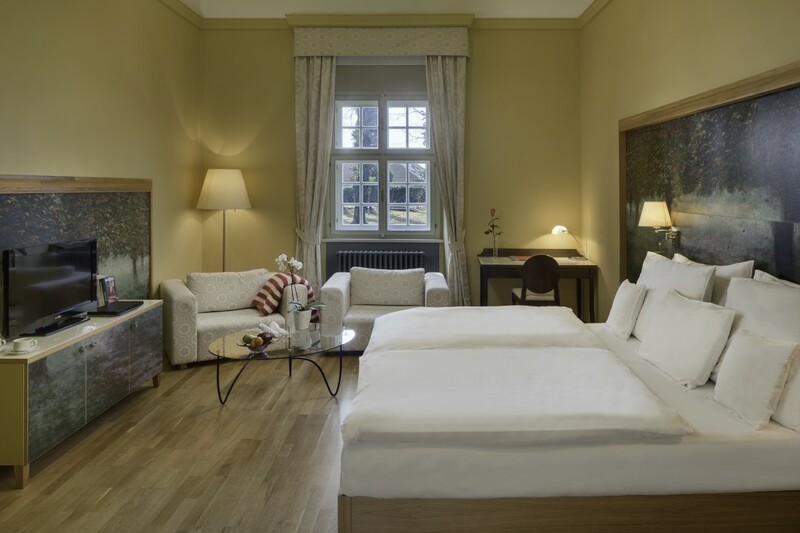 You are still in the comfort of your castle room… even though the painting by one of the most original Czech painters, Jan Honsa, creates an irreplaceable illusion in this standard double room. It is as if you were walking along the forest pathways on a crisp autumn morning and you enter through the secret door not into the park, but.. the bathroom! Do not fear though – a quick stroll through the castle courtyard you will find yourself in the very real, beautiful English park of Chateau Herálec.